The Longworth mammal trap was invented in 1949 and is celebrating over 60 years of service. 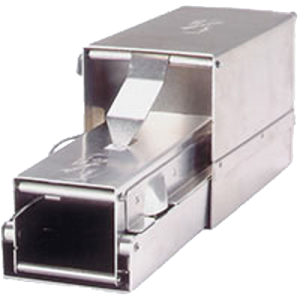 As the most widely used and respected small mammal trap in use in Europe, it is familiar to many of us. But how well do you actually know it? Read on for some facts on the Longworth trap you may or may not know! Why is it called the Longworth trap? Unfortunately it’s not because Mr Longworth invented it. The Longworth trap was invented by Chitty & Kempson (1949). At the time they were working at the Department for Zoological Field Studies at the University of Oxford. They arranged commercial production through another Oxford-based organisation, the Longworth Scientific Instrument Co. Ltd, and the trap took the same name. The Longworth Scientific Instrument Co. was founded in 1943 by another group of Oxford academics. Personnel from the Department of Anaesthetics formed the company to manufacture technical medical equipment such as the Macintosh Laryngoscope. As the Longworth trap required similar manufacturing processes, it made sense for the Longworth Co. to manufacture Chitty & Kempson’s trap. Due to its strong geographical links, you may also have heard the Longworth trap called the Oxford trap, although a prerequisite for this is a long memory, even longer beard and elbow patches! Are Longworth traps good for sampling shrews? 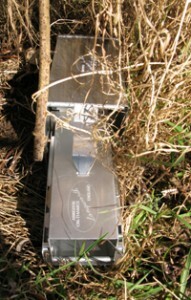 Traditionally there has been a belief that pitfalls rather than small mammal traps such as the Longworth should be used for catching small shrews (e.g. Williams & Braun, 1983). However, recent evidence may suggest that this is not always the case (e.g. Anthony et al., 2005). Every trap design will introduce some type of bias, so the key is to ensure as fair a test as possible. Comparing two datasets obtained using different trap designs will obviously introduce error. If you are particularly concerned about small shrews then consider using Longworth traps in tandem with pitfall traps (using drift fences with the pitfalls will generally increase success). Remember that vegetation type and even trap age may possibly influence trap success. The fact that Longworth traps are incredibly durable with many still in use after 30 years of service makes them ideal for repeat long term surveys. And remember, you won’t catch any small shrews with the Longworth trap with optional shrew escape hole! How do I bait the trap? The bait smell will initially attract the mammal to the trap so try to handle the bait as little as possible, especially if you’ve got sm elly (perfumed or otherwise!) hands. Shrews and other insectivorous mammals will need invertebrates; try blowfly pupae available from fishing tackle shops. Otherwise seeds, raisins, barley, oats or even chocolate will do. By using fruit or vegetables (apples and carrot can work well), you can also provide an essential source of water for the trapped mammal. The type of bait used is probably of little importance in trap success (Sealander & James, 1958), and by using the same bait in all traps the effect of bait type will be nullified. Acclimatising mammals to the trap is particularly important, especially when sampling more timid species. The Longworth is ideal for this as it can be set not to trigger when an animal enters. Bait the trap in the ‘non-trigger’ setting and leave for several days for this acclimatisation to occur. But remember, by doing this you may attract other individuals from surrounding areas and inflate population density estimates. Also remember to provide some bedding in the trap; hay or shredded paper work best. If using leaves (or indeed anything else), make sure they are dry as damp nest material can chill the animal. Change the bedding after every capture to ensure a dry clean trap for the next unlucky victim. Place the trap in a sheltered secluded location, ideally in thick vegetation, but make sure you can find it again. A bright marker on the trap can aid location of it but can also make it more conspicuous to the public. Place the leading edge of the trap flush with the ground to encourage animals to enter. Ensure the nesting box is at a slight angle to encourage urine to drain away. When placing the trap, look out for signs of mammal activity (droppings, runs through vegetation, chewed food, etc). These are unlikely to be in the middle of clearings as small mammals tend to prefer margins, hedges, etc. Usually multiple traps will be deployed. By deploying in a grid formation you will get a better idea of population density, whilst straight line deployment is useful for covering a cross section of habitats or following linear features (hedgerows, boundaries, etc). Longworth traps are expensive and the initial cost of buying the traps can be high. However, it is worth remembering than Longworth traps will last decades if looked after properly so the cost of the trap over its lifetime is actually quite cheap. Nevertheless, a cheap alternative is the Mammal Trip-Trap. This is a simpler trap to the Longworth and designed for occasional use. It is made from robust plastic rather than the Longworth’s aluminium, but also features a trapping tunnel and nest box. 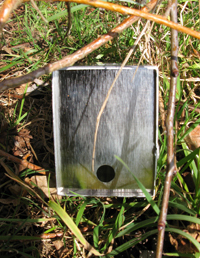 However, as woodmice have on occasion been known to chew through the aluminium on a Longworth trap, the plastic trip-trap may be severely damaged unless checked very frequently. Whichever trap you use, remember to check them at least every 12 hours (and even less for shrews as they are particularly prone to mortality in traps). You also need a licence to trap shrews. If you have any other queries on the Longworth trap or Trip-Trap then please get in touch.